I feel like our family repeats the same few breakfast items over and over again. I’m bored with our morning go-tos, so I’ve been brainstorming new ideas lately. 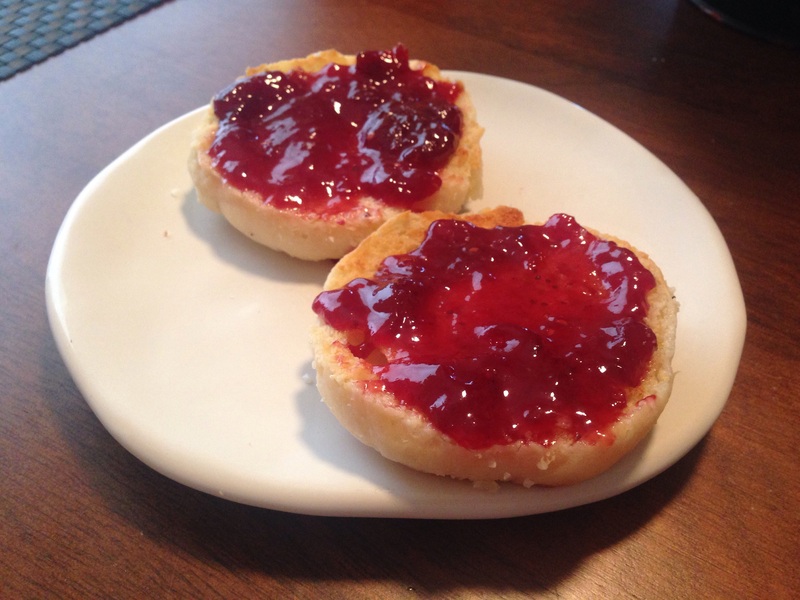 One of our fall favorites is pumpkin buckwheat pancakes (recipe to come), but today we had English muffins with butter and jam. I don’t buy English muffins often. I’ve never had the “I need to make these one day” feeling. I’ve considered it, seeing a few recipes floating around Pinterest, but all of them have shortening in them. Is shortening the worst thing in the world? Probably not. I still tend to avoid it. I stumbled across this recipe in the October 2015 issue of Food Network Magazine. There is a great tutorial with pictures on each step and tips in the magazine itself. The recipe can also be found online here. I hope you enjoy!